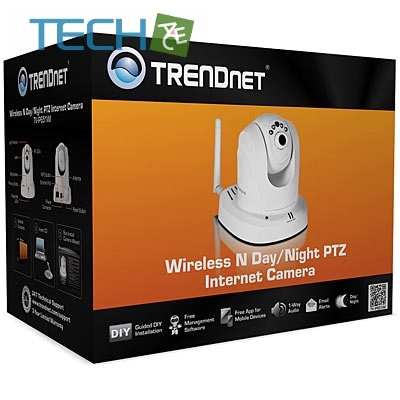 The Wireless N Day / Night PTZ Internet Camera, model TV-IP651WI, provides day and night security over a large area. Pan thecamera side-to-side a remarkable 340 degrees and tilt up-and-down115 degrees from any Internet connection. Record indoor video incomplete darkness for distances of up to 7.5 meters. 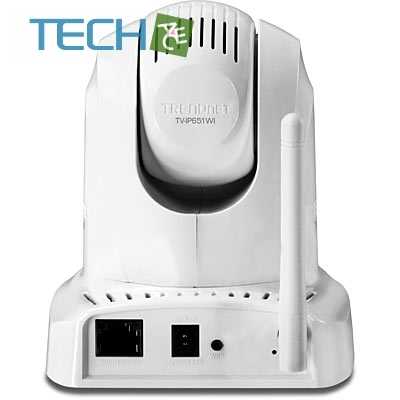 Wireless ntechnology provides unsurpassed wireless coverage and improvedstreaming video quality. 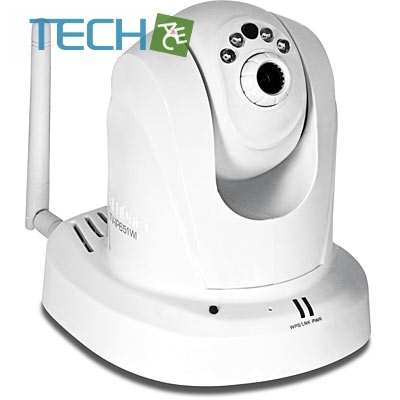 Add this camera to your wireless networkat the touch of a button with Wi-Fi Protected Setup (WPS). Record 640 x 480 pixel (VGA) video at up to 20 frames per second(fps). Manage up to 32 TRENDnet cameras with the includedcomplimentary camera management software. 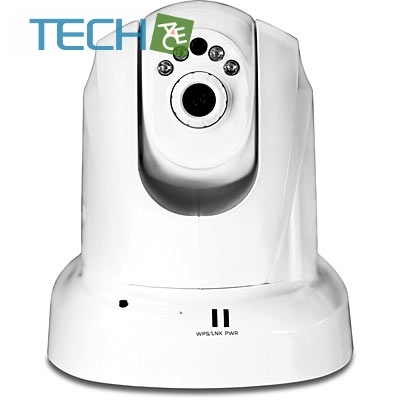 Advanced features includeadjustable motion detection recording areas, email alerts,scheduled recording sessions, pan / tilt Auto-Patrol, date-and-timeoverlays, one-way audio, an adjustable lens, and four times digitalzoom. A wall / ceiling mounting kit is included and thecameraâ€™s off white housing blends into mostenvironments.